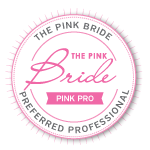 Thank you to all of our wonderful brides for giving us such great reviews. We love making their floral dreams come true! You can check out all of our reviews here at Wedding Wire.